You have heard one of these at least more than once in your life. Haven’t you? A lot has been said and written about the negative impact of patent assertion entities on the economy and innovation. Patent Assertion Entities (PAE), often famously referred to as “Patent Trolls” are looked down upon with contempt by media and large corporations alike. Branded as pure evil, PAEs have received a lot of bad press and have rightly earned the moniker of being a troll. A troll, commonly described as “an ugly cave-dwelling creature” in its very sound imparts a very negative effect on the term. Furthermore, all the art ever created of a troll makes them look like a horrible monster that you’d never like to cross path with even once in life. PS: If you were thinking Shrek or Princess Fiona are trolls, it’s time to get your facts right. They’re Ogres. 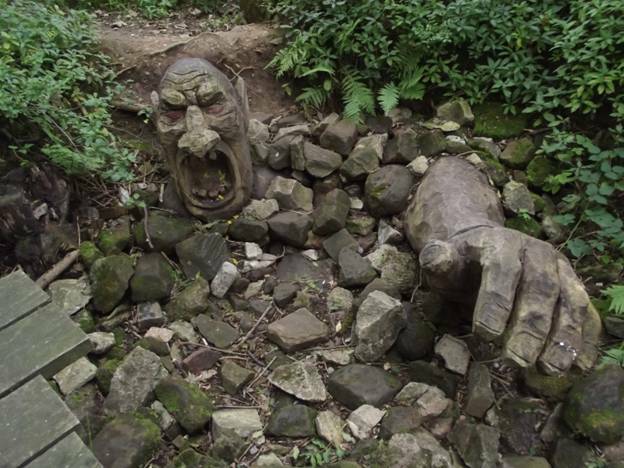 Are patent trolls as bad as they are projected? Do they really hurt innovation and are bad for the economy? Do they really throttle the competitive market? Or is there another side to the story? With that thought in mind, we decided to explore academic resources to get a complete picture of the matter. What followed next was a brief search of scholarly papers on SSRN and ample proof that led us to believe that PAEs are not as bad as they are portrayed. In fact, Patent trolls PAEs are good for the economy and according to research, play a valuable role in innovation. Before we begin to factor all the research and empirical evidence that proves how important a part PAEs play in innovation, it would be interesting if we ask this famous Shakespearean line in the context of usage of term Patent Troll. According to the paper, authored by Edward Lee titled ‘Patent Trolls: Moral Panics, Motion in Limine, and Patent Reform’, there’s lots in a name. According to the author, media has played the theory of Moral panics, which has created a sense of contempt for PAEs and the very use of the term when referring to an organization imparts a very negative impact on it. The use of the prejudicial term “Patent troll” clouds the legitimacy of practice organizations engage in and instead of judging a patent by its claims, the very association of the term with an organization sidelines rational decision making and gives way to hysteria. Organizations, irrespective of practice they engage in, whether they’re patent monetizers or aggregators, all have been equally labeled as Patent Trolls, which results in a sense of contempt for organizations indulging in the practice. Consider the instance of IBM, who despite being a multinational technology company working in hundreds of technologies (with thousands of patents in its portfolio) is labeled a patent troll, every time it tries to enforce its patents. While we are talking about multinational corporations, it ought to be noted that even big names including the likes of Apple, Microsoft, Google, and Samsung are not spared by the media, each being labeled as a patent troll at one point or other. We are well aware of a definition of a patent troll, aka a non-practicing entity which accumulates patents for monetization purposes. The question is- Is it right to classify any company trying to monetize its intellectual property as trolls? The same perspective applies to patent monetization agencies that buy patents from small inventors and enforces them such that the rights of an inventor are protected. It is a fact that major corporations seldom care about small inventors or micro entities patents and infringe them despite being knowledgeable of their existence. When we talk about protecting rights of an inventor, it is important to consider that inventors whose patents are infringed by giants seldom have the money to rage a lawsuit. In such situations, organizations get a chance to get away with infringement without paying a penny. Are patent assertion agencies really bad? Give it a thought. Are NPEs bad for Economy? Not exactly, according to the author of the paper Trolls or Market-Makers- An Empirical Analysis of Non-practicing Entities. With help of patent litigation data available on Stanford law school’s IPLC between the period of 2000 to 2008, the author summarized that the patents used by NPEs in litigation were by all measures pretty high in value. The very claim that PAEs use vague patents to blackmail companies in an attempt to earn loyalties is proved false in this study. The data set picked by the author portrayed that Patent assertion entities perform their IP due diligence pretty well and acquire high-quality patents with excellent monetization potential, which is one reason why they demand pretty high costs for monetization. The rights of an inventor are protected, thereby reducing the chance of an infringer getting away with infringement without paying for it. Liquidating the innovation of inventors behind highly valuable patents encourages them to continue innovating, which in turn benefits the society. Patent trolls do not really hurt innovation. Instead by playing middlemen, Patent trolls play a valuable role in innovation, concludes James F McDonough III in his paper Myth of the Patent Troll, where he argues that the very presence of patent dealers in a market gives way to innovation. According to the author, the very knowledge that patents would be enforced by patent dealers incentivizes potential infringers to either license technology or increase research and development to design around those patents. In such situations, what results is an increment in innovation since increased patent liquidity and reduced risk gives inventors more incentive to invent which results in advancement within a particular industry. In a research conducted by Alexander Galetovic of the Universidad de Los Andes, it was found that innovation rates are strongest in the industries that patent-reform advocates claim are suffering from “trolls” and a broken patent system. The innovation in these industries could be proved by a rapid decline in prices. For example, since 1992, the quality-and-inflation-adjusted price of telephone equipment has fallen by 6.7%, televisions by 14.4% and portable computers by 26.7% a year. The equation- More the innovation, better the components, more the competition, lesser the prices fits. Patent Assertion Entities or wrongly named Patent trolls play a huge role in innovation. Not really. Not everybody wants to get rid of them. Some actually need them and prefer their service over others. In a study by Stephen Haber of Stanford University titled as above, showed that inventors hiring contingency fee lawyers were 40 percent less likely to sell to a patent troll, while the effect for entrepreneurs was statistically insignificant. Further, it was mentioned that PAEs acts as financial intermediaries for majorly two types of patent holders who are constrained by the cost of litigation – Inventors and individuals who are more sensitive to financial losses. Litigation costs can be a major factor that has the possibility of leaving an inventor bankrupt, while the effect on large corporations is similar to a tiny dent. PAEs, on the other hand, assure a guaranteed profit to individual inventors without getting involved in costly litigation. Patent trolls if curbed could severely limit the role of a lot of inventors in the innovation ecosystem. This gets more ugly when laws start protecting genuine companies from claiming rights on their patents. Given that inventors and small businesses constitute a sizable proportion of patent filers in the US, the lack of incentive in absence of PAEs – where corporations could freely infringe on their patents and get away with it without paying any royalties – would give them lesser reason to innovate and protect their IP, which would have a direct impact on economy. Related Read: This approach could help identify products infringing your patent. Click here to read. PAEs, not so bad after all, eh? Getting rid of patent trolls in one way or other would hurt innovation, prove detrimental to the economy and result in a lesser proliferation of innovation in any particular industry. While the presence of patent trolls might not feel right, but their very absence from the innovation market would not be any right either. Authored by: Anjali Chopra, Analyst, Market Research. Thank you for teaching me a new aspect. This will help me greatly.